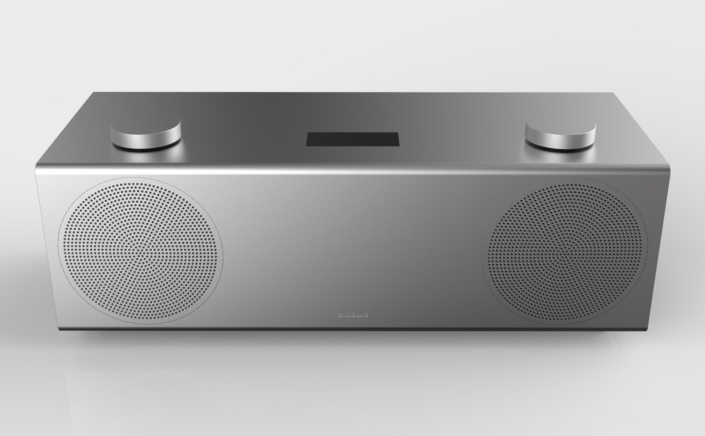 Samsung has announced new H7 Wireless Speaker, soundbar, and a new UHD Blu-ray player. H7 Wireless Speaker which offers 32bit ultra-high quality sound performance. The speaker is capable of going down to 35Hz to deliver low bass. It has a sleek metal finish that offers it a premium look. The speaker sports wheel control that lets you adjust volume and select a playlist from different streaming music services. It must be noted that H7 is a regular wireless speaker and does not come equipped with a smart voice assistant similar to Google Home or Amazon Echo. Earlier this month, it was reported that Samsung Galaxy S8 could sport stereo speakers, might feature HARMAN branding. In addition to H7 wireless speaker, Samsung has also introduced the MS750 Soundbar and the M9500 UHD Blu-ray Player. The new MS750 Soundbar is Samsung’s first soundbar to embed subwoofer performance directly into the primary unit. This ensures that the bass is equalized and crystal clear, while simultaneously de-cluttering the home. With UHQ 32bit audio, the MS750 delivers powerful home cinema sound on premium TVs, without the need for a separate subwoofer. MS750 Soundbar boasts a small but mighty “one body” design that can be mounted onto your TV with one simple connection, no complicated setup, and no extra space needed. This means that the soundbar and TV can be turned on at the same time, simply by connecting the two units with a designated power cable connection, eliminating the need for two separate power cables, and removing clutter around the TV. Samsung’s new M9500 UHD Blu-ray Player. With Bluetooth® Wireless Streaming Support and Samsung Smart Remote integration across the UHD Ecosystem, this HDR-optimized device creates the optimal UHD viewing experience. And, with the M9500’s new Private Cinema Mode, TV audio can be transferred to personal Bluetooth headphones, adding flexibility for viewing HDR content at any time, despite what else might be going on around you. UHD Blu-ray player automatically sets the TV screen and audio to the optimal level by analyzing the content source being played at the time, such as HDR, Atmos or DTS-X. This means consumers can now seamlessly enjoy the content they want without changing their TV or audio settings. All the three products will be showcased at CES 2017.